Good morning, loves!! 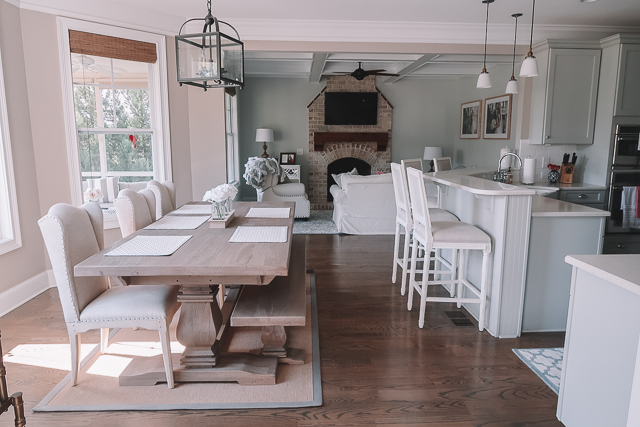 I’m happy to back today to share the rest of downstairs house tour (if you missed part one, you can check it out HERE), so sit back and relax – and maybe pour a glass of wine cause this post is long and there are tons of pictures! Like I mentioned in my last post, I’m still not through with everything, so this post is more like a progress update rather than a final reveal! 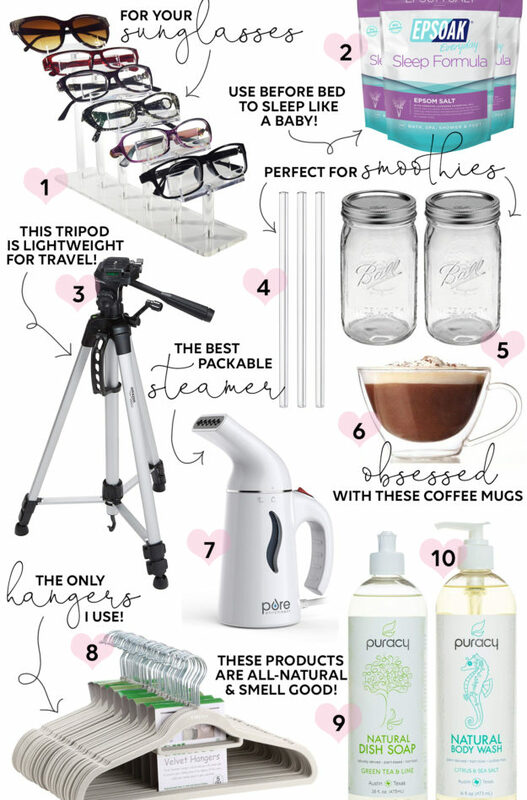 I also want to point out that a bunch of items in today’s post are included in the Nordstrom Anniversary Sale, which ends on August 5th. 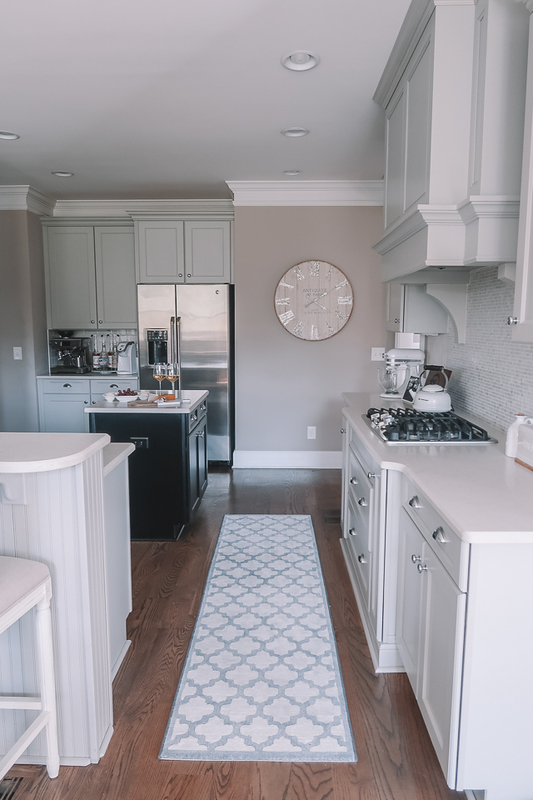 Two of my favorite items on sale are my area rugs, specifically this runner rug in my kitchen and this one in the keeping room. 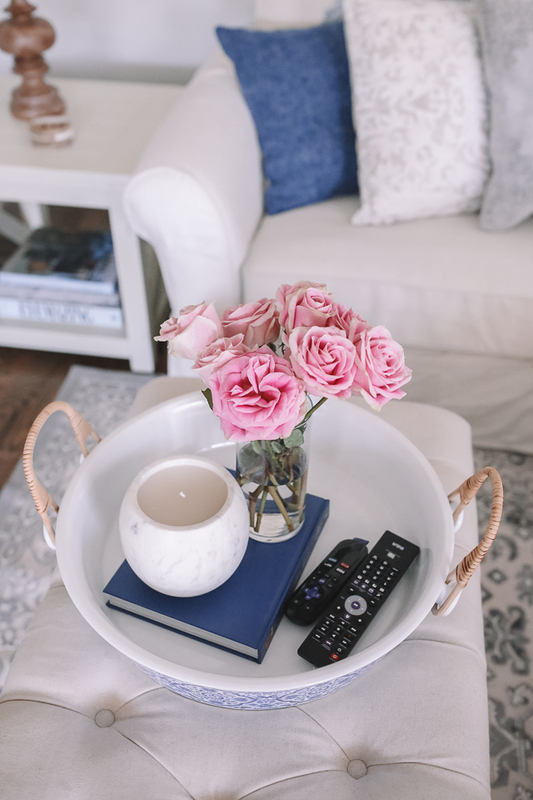 You can find some really beautiful rugs on Nordstrom for some great prices right now! Anyway, let’s get started! Thanks so much for reading! 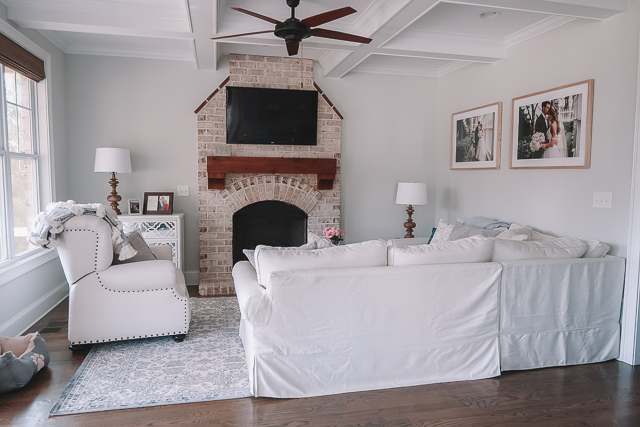 You’ll notice that I haven’t shown my main living room that Ballard Designs helped me with – stay tuned because the big reveal is coming soon! 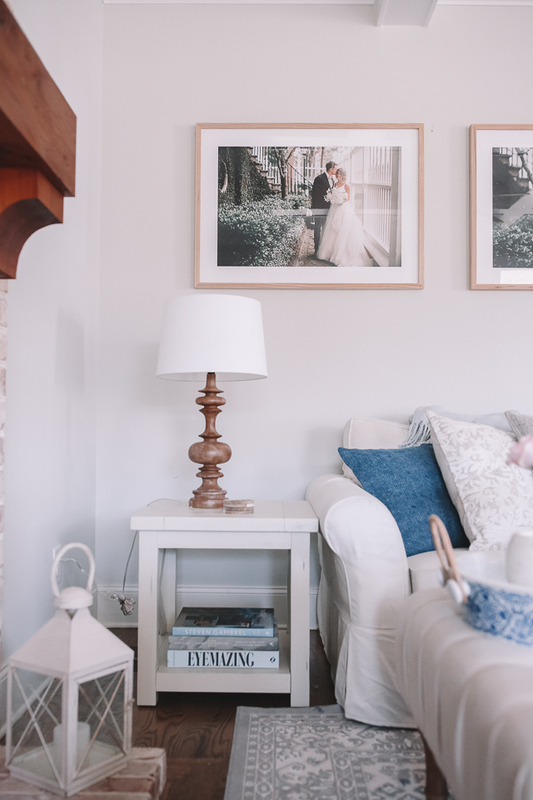 Also, I had a ton of questions about our framed wedding photos in our keeping room – we used a website called Framebridge and it was SUPER EASY to do! All I did was upload our wedding photos to their site and then I picked out my frames (I went with these frames) and the size I wanted. Less than a week later, the frames arrived at our house with our wedding photos inside. Everything was already assembled for us, and they even sent the right hardware so that we could mount it to our walls. I highly recommend using them for any digital photos you want framed! where did you get your bar stools so pretty. I'm not sure hahah it's basically a little living room nook off of our kitchen, but it's not our main living room! I was going to ask the same thing but I live in Florida and had never heard of it. What are the brand of your floors, are they vinyl or hardwood, and what is the color called? I love, love, love! You have done an amazing job decorating! Looks so fresh and inviting. Whose cat is walking through your screened in porch?? 🙂 Did Chris bring a cat with him? YES haha that is Chris's cat, Frankie! He wanted to be in every single photo I took haha! It looks absolutely beautiful Caitlin!! And the framed wedding photos turned out so well- I might have to look into Framebridge! 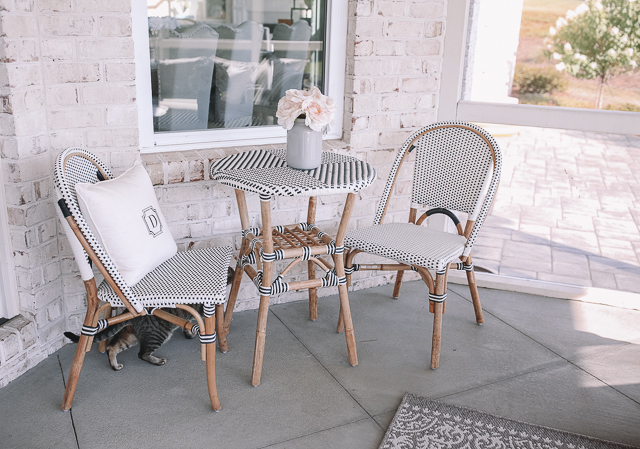 I absolutely LOVE your patio furniture! I don't think I've ever seen grey wicker before. 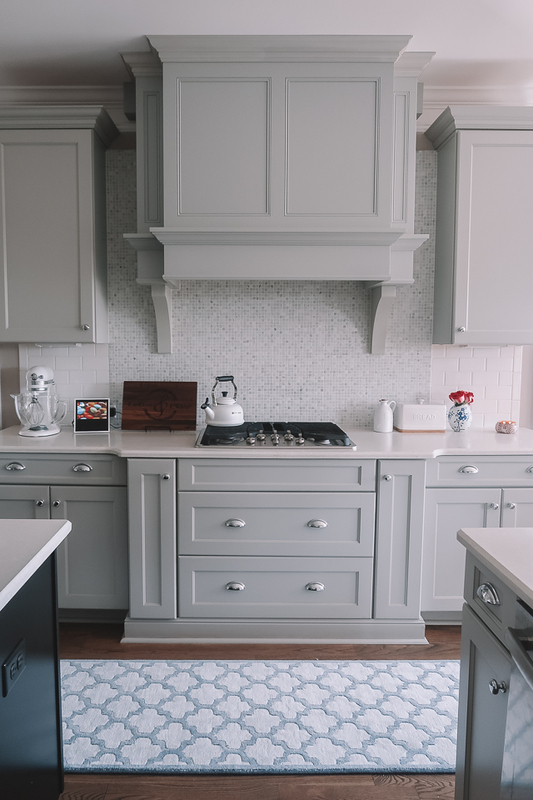 Love the color of your cabinets! Love your house! I would love to see how it's all layed out, video or like a blueprint. And a picture of the entire outside! Do you know your paint colors? The walls and cabinets are exactly what I've been looking for! 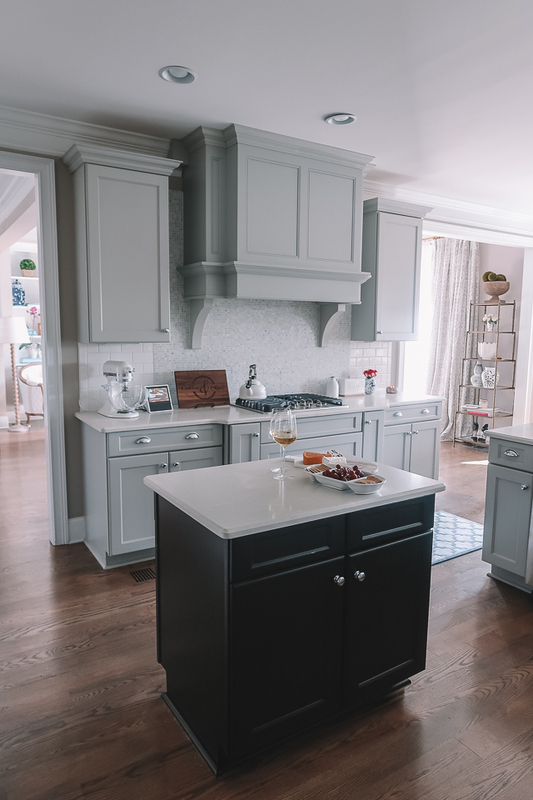 I know that our keeping room is "gray owl" by benajmin moore but unfortunately the kitchen cabinets were already painted when we moved in so I'm not sure what color they are!! Loving the wall color in your kitchen with those cabinets. Do you by chance know the color of the walls? I'm obsessed with your pantry and closed in porch! your place looks beautiful! http://trendkeeper.me .. summer wrap skirt! OMG your house is seriously GOALS! I loved seeing the sides of it we never get to see, your porch is super cute! 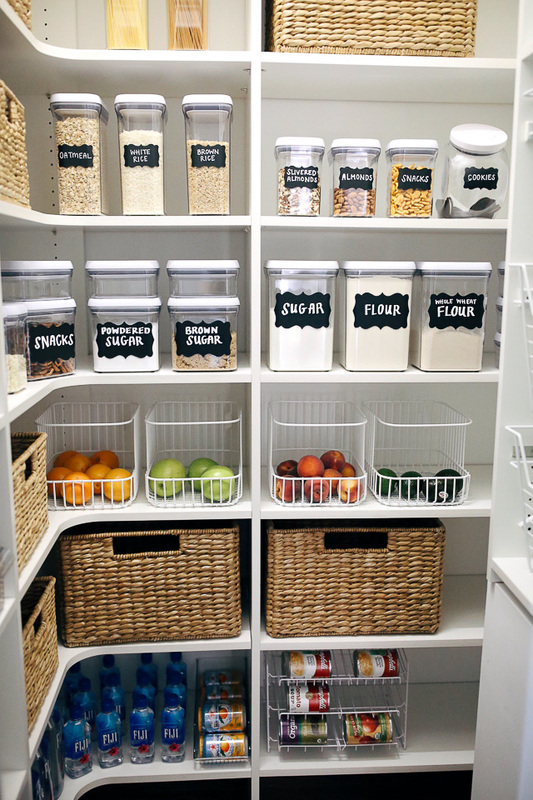 I am pinning some of these for inspo, especially the pantry! 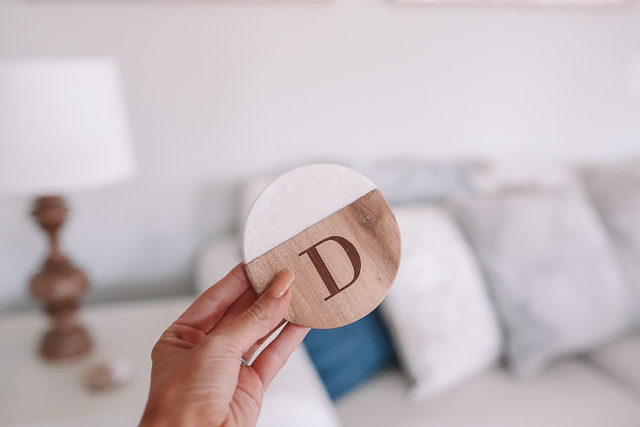 I love home decor, your house is so pretty! Great job on the decorating, we have similar styles! Random question, where did you get the large flavored bottles with pumps at your coffee bar? I would love to see more lifestyle posts on your blogs like food, cooking recipes, daily vlogs, home decor, movie reviews and maybe like coffee bar set up etc. Really love your blog. Hey! 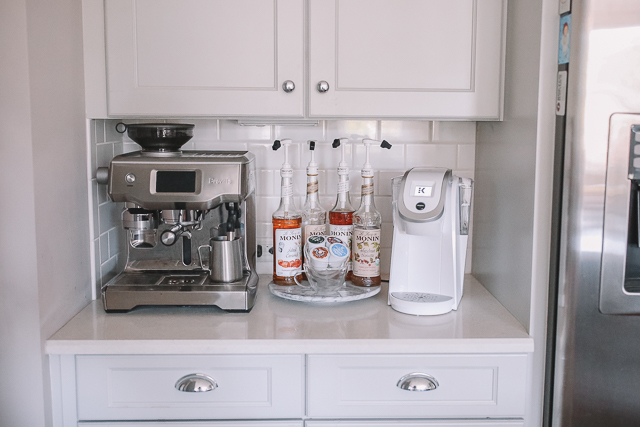 Those are flavored syrups from Monin, I use them to make my lattes every morning 🙂 I order them straight from Monin's website, here: https://www.monin.com They are the best, especially their organic flavors!! I agree with all of the requests of posts from above. pretty please. Your house is beautiful! All those Little details made such a big difference in how the house looks now, especially the keeping room. I’m about to buy an appartment and can’t wait to arrange everything and pick the details. I’m in love with this famous checkerboard kettle from MacKenzie Childs from the first time I saw it. Think it will such a pretty adition to my kitchen. Can’t wait for next house update post! What size rug is in your keeping room? 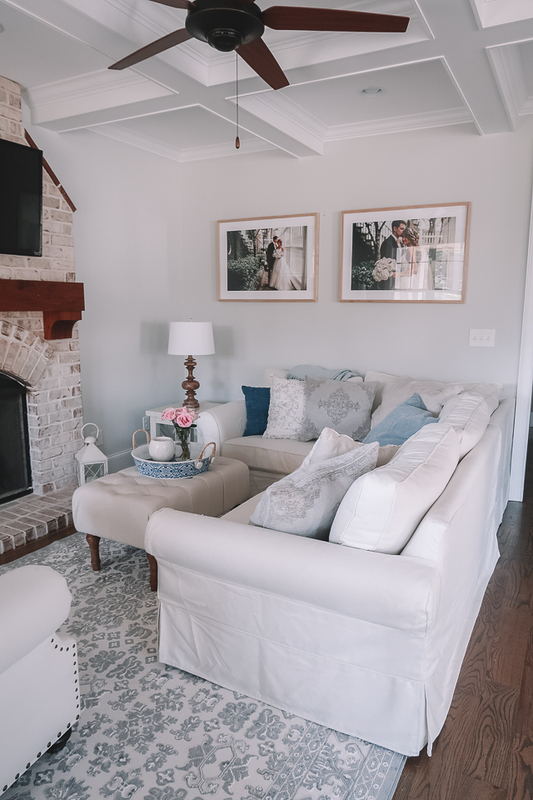 What size are your photos/frames 🙂 🙂 absolutely LOVEE your house!!! 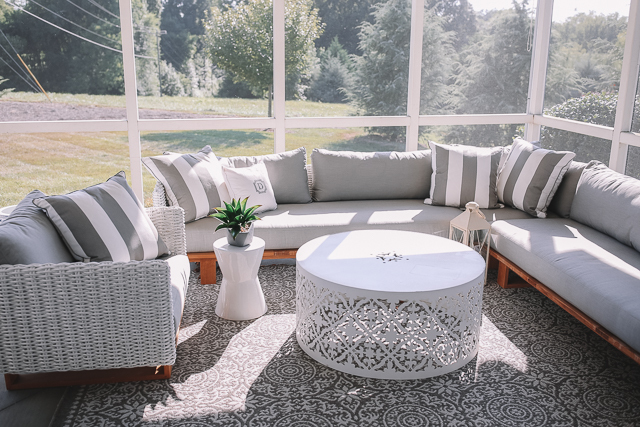 Love your screened in porch! Love the exposed brick and your chairs and tables are so charming! 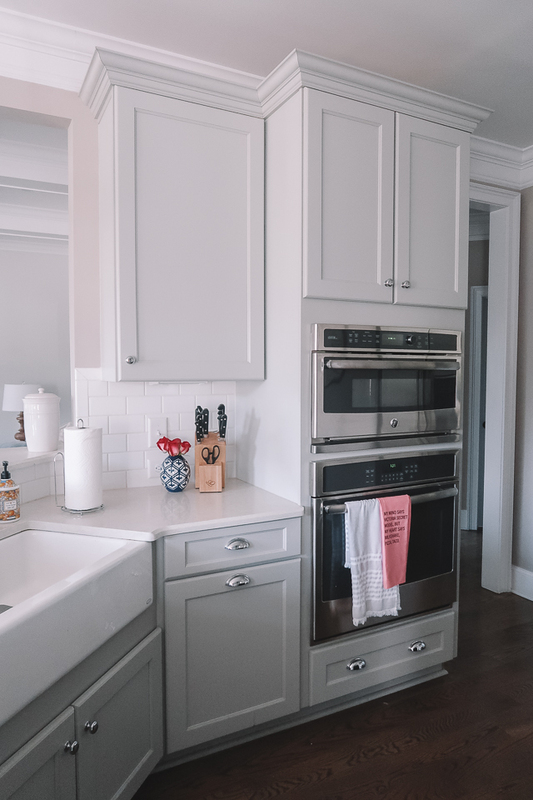 That pantry is #goals and love your backsplashes in the kitchen! I love what you have done! 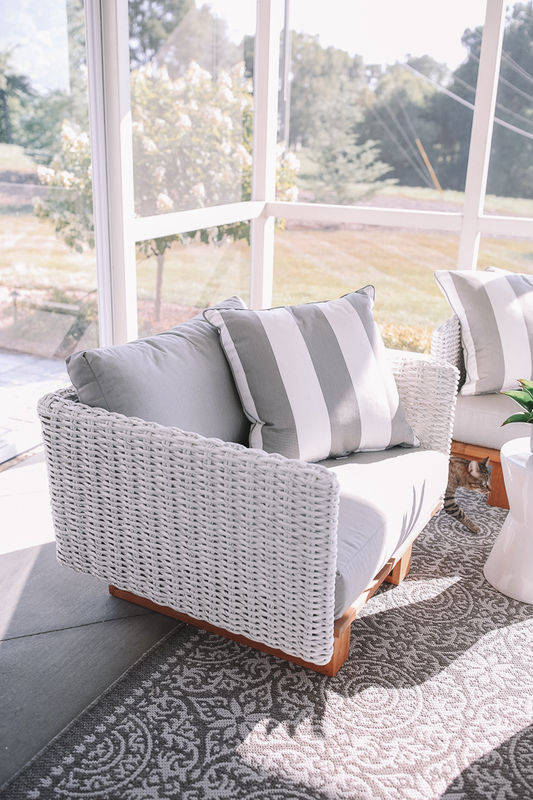 Where did you get the “D” pillows on your screened porch? Thanks! 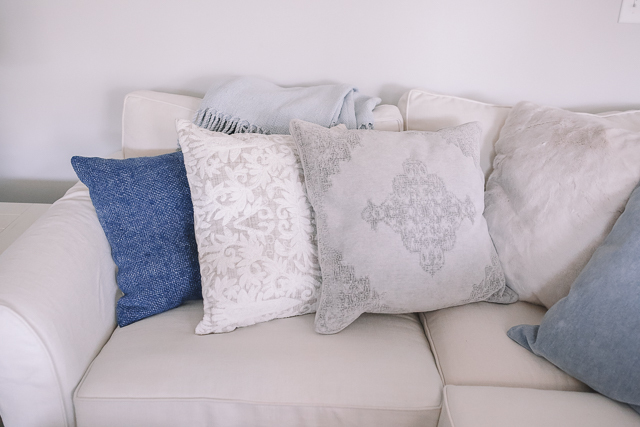 I LOVE the color palette you've curated! 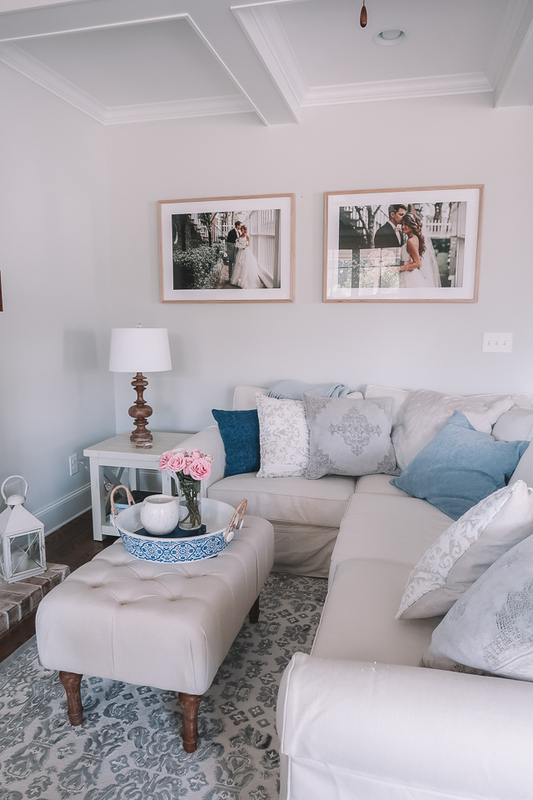 Those two huge wedding photos in the keeping room are my favorite part, they're so beautiful and really pull the space together! Looks absolutely amazing Caitlin! Loving the keeping room! I would be the happiest girl in the world to wake up everyday to this home and that kitchen is what dreams are made of. So beautiful! I will be using this as inspiration for my home too, thank you for all of the links, outstanding! Everything is so beautiful, Caitlin! 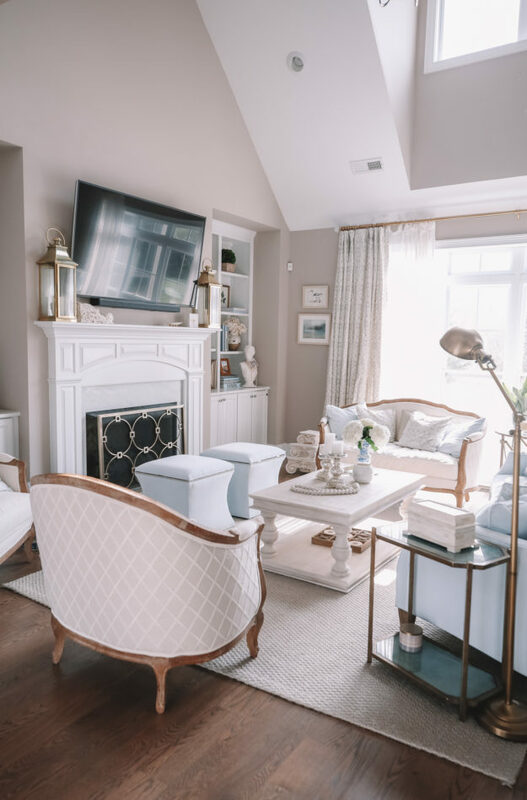 From the color palette to the small details of decor, you truly created a beautiful home while still maintaining that southern charm. Also GIRL. 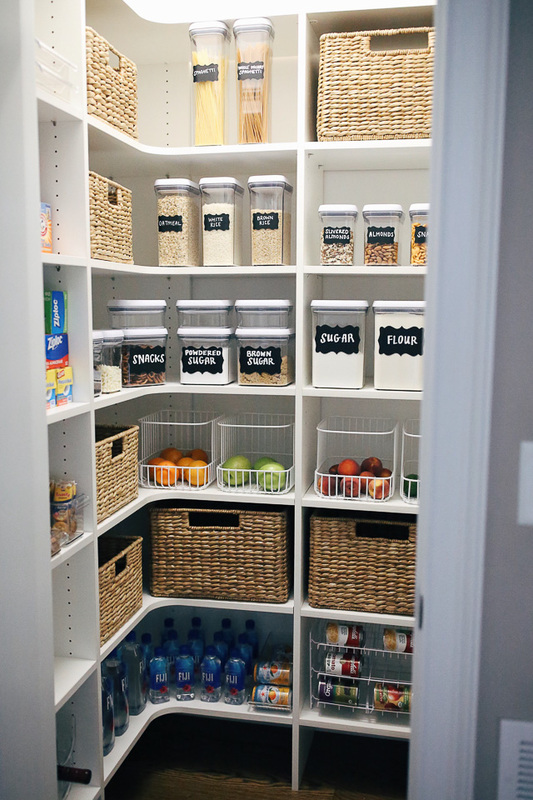 THAT PANTRY. Despite seeing your previous reveal of it on the blog, I am still in awe by the organization lol. Great taste and style, and marvelously inspirational, Caitlin. Amazing post Caitlin! Dream kitchen! 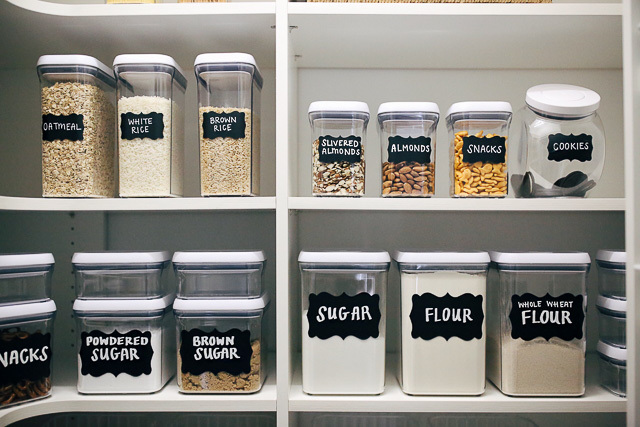 And that pantry is oddly very satisfying to look at haha! I didn't know you had a screened in porch, that looks sooo pretty! Hi Caitlin! Beautiful home! 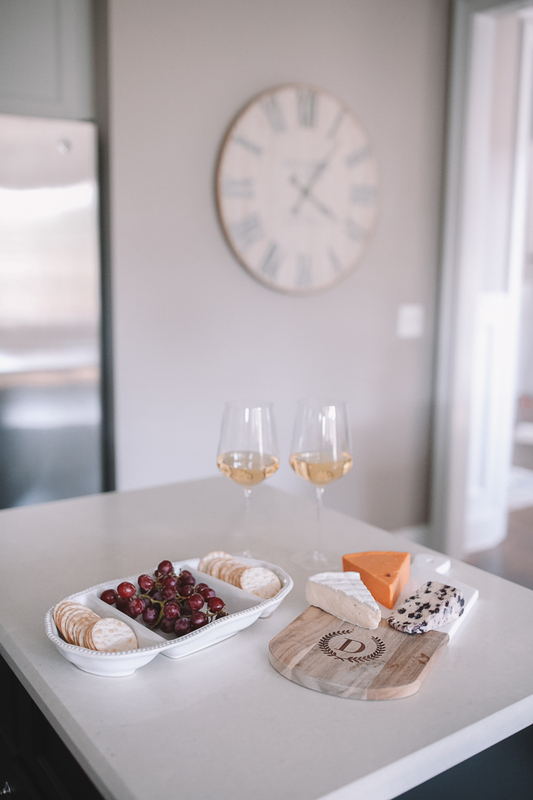 Question for you, where did you get your white serving platter that is pictured next to the cheese plate? Hi, I love the house! 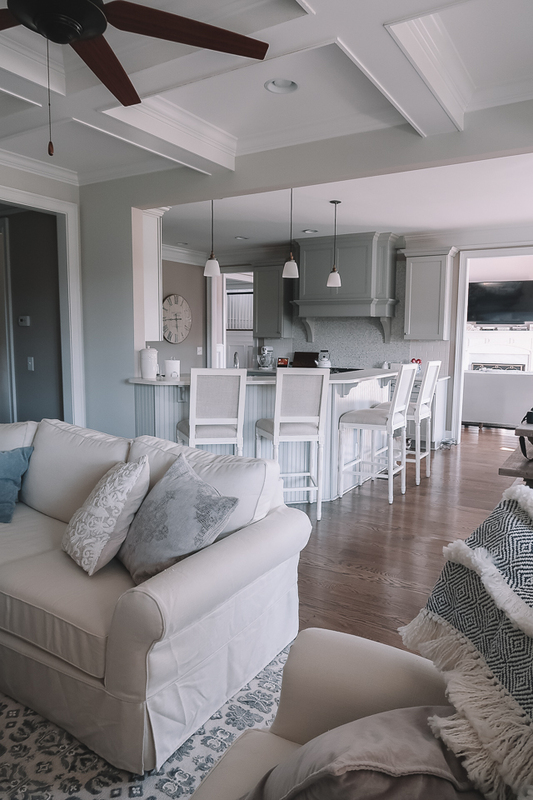 What type of floors do you have in the house(bedroom), so pretty, are they vinyl or hardwood and what is the name of the color of the flooring? 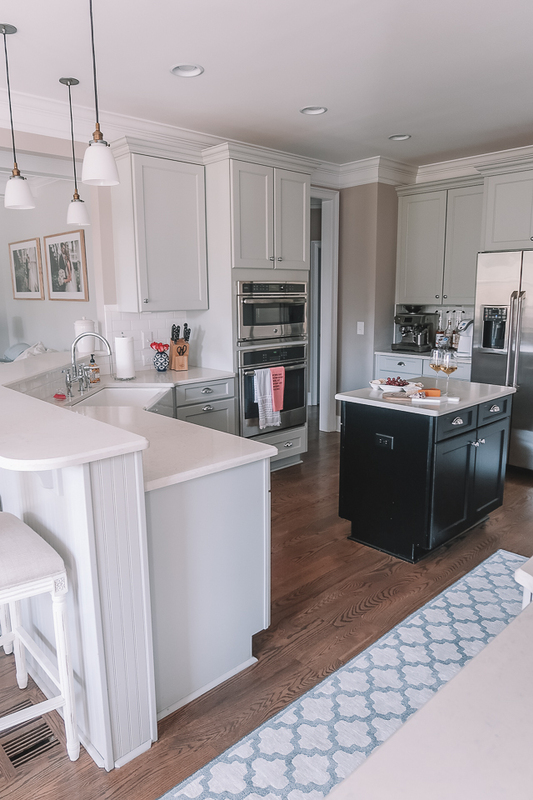 Do you know the paint colors on the walls and cabinets in the kitchen? So beautiful!!! 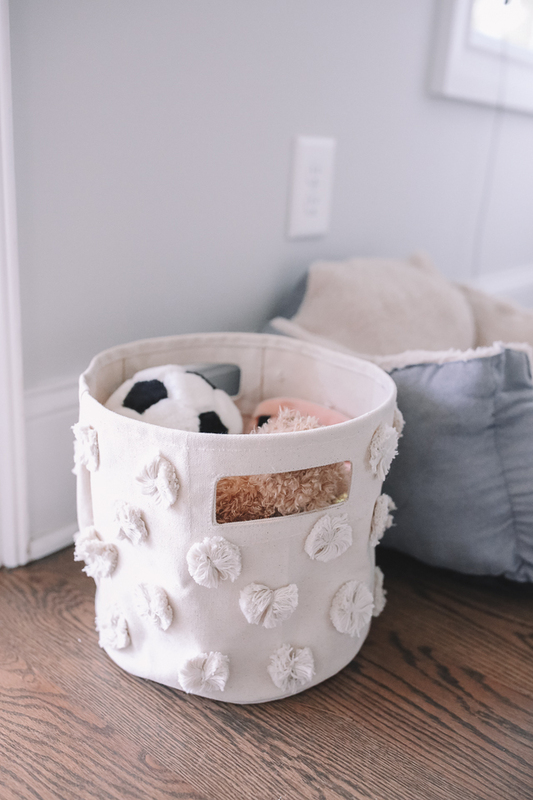 Where did you get that adorable basket for dog toys?? How do you like your espresso machine? Is it worth the cost? What side frames did you get for your wedding photos? Hi Caitlin, your kitchen is stunning! I just bought a home and the upholstered chairs you have with your kitchen table would be perfect. Would you mind sharing where they are from? Hey April, yes! I worked with an interior designer to get the upholstered chairs, her name is Kelsey Hymel. 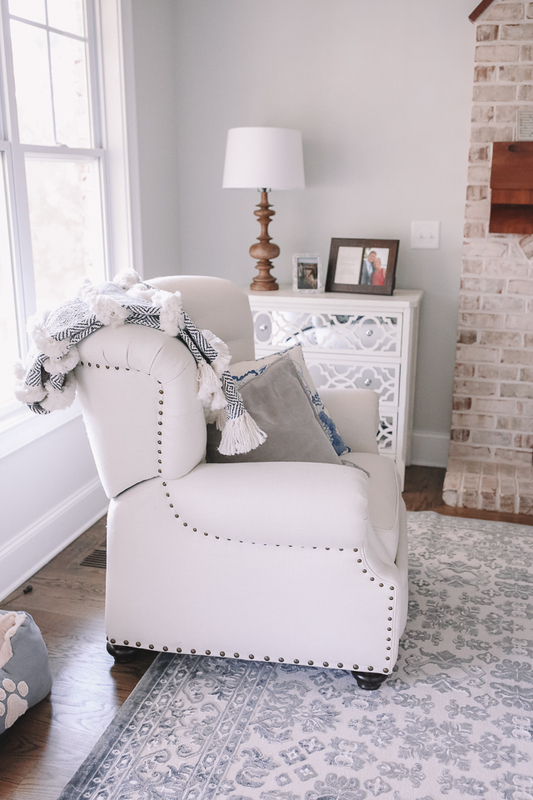 You can email her at kelsey@kelseyleeinteriors.com and tell her you want the chairs I have… she can give you pricing and delivery info! Hi there! 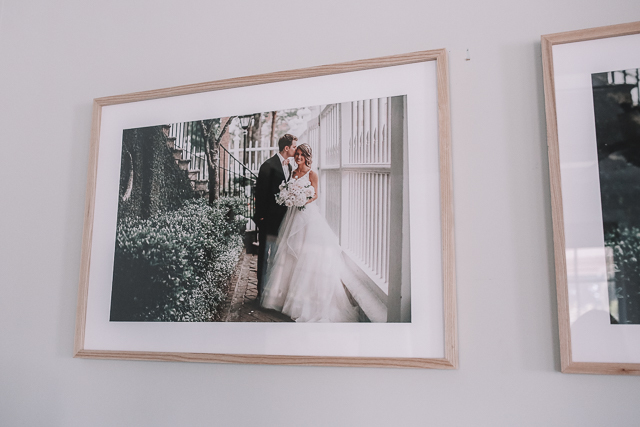 I absolutely love how you incorporated your wedding photos in such a tasteful way with those wood gallery frames. 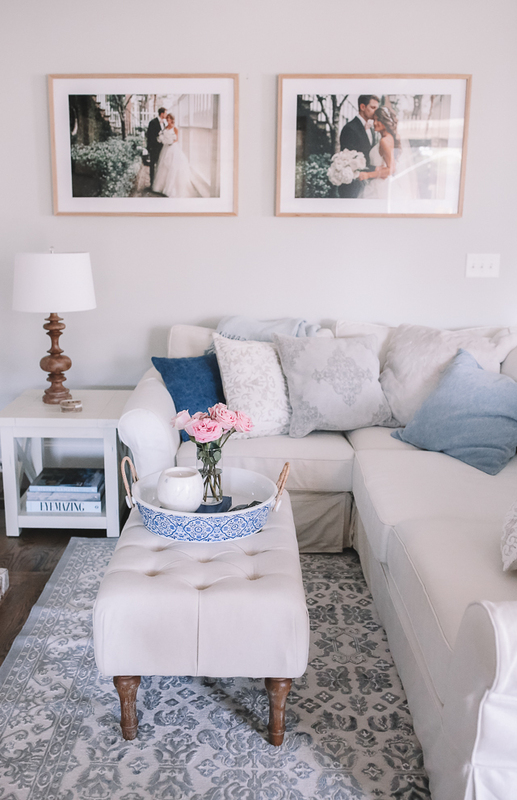 I just wanted to know how large those frames and photos are – I’d love to replicate in my home! Which fabric did you select for the couch?? Love everything!!! Love your keeping room rug so much I just bought the same one! Hi Caitlin! I was wondering if you’ve been happy with your Pottery Barn sectional? We’ve been looking at them, but I’m a little nervous about the reviews. Any feedback would be greatly appreciated!! Thank you so much!! House goals! Love your color scheme. 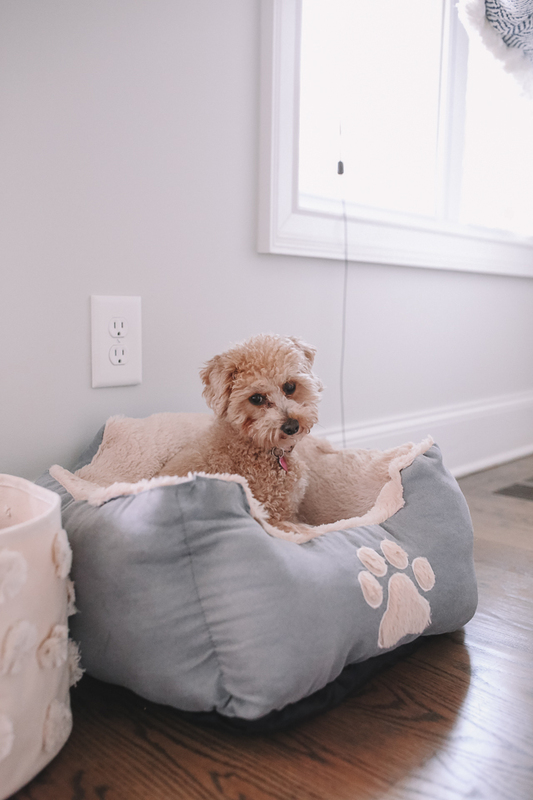 I purchased the same slipcover couch and it’s the BEST for kids and pets! You have such a beautiful home! I love how classy and clean everything is! You are so organized! I look forward to your posts all the time and look for inspo from your blogs and instagram! Your house is hands down perfect! Love your house! It’s beautiful! Recently purchased my very first place and love looking at your pics for inspiration!! The colors are so peaceful, everything goes together so nicely, the whole house looks in harmony but this pantry is goalssss! Omg. 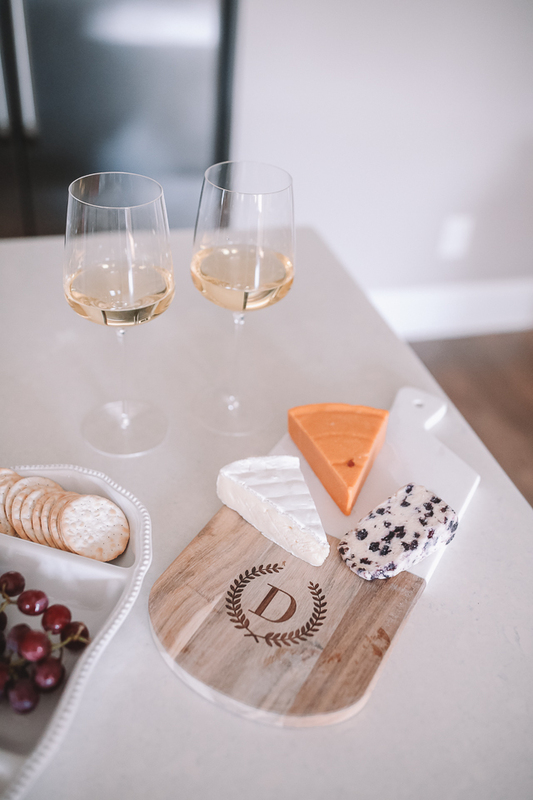 Can you make a post for holiday snacks and treats to bring for small parties and get-togethers? I saw that you have a expression machine just like the one I’m looking to buy. Do you like yours? Could you link it so I can look at it in greater detail? What a stunning home you have! God bless you and your husband! Love your home! 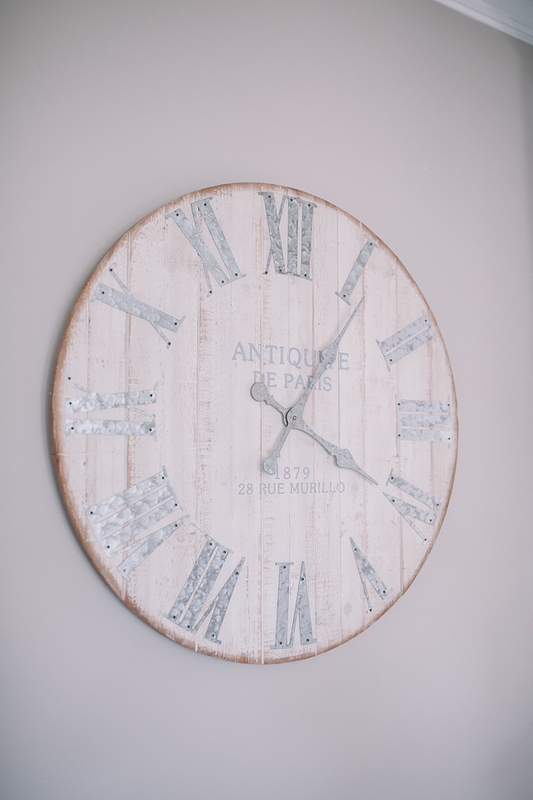 What size prints are your large wedding photos in your keeping room? Thanks so much, love following you! 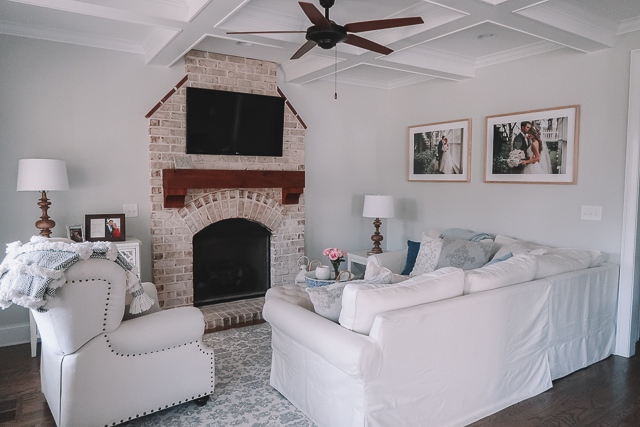 When will you show your living room with Ballard Designs? Do you know what color your kitchen walls are?